Alpha Centauri has long held the interest of stargazers and astronomers, for one very important reason: it's really close to us. Or, at least, it's close relative to the rest of the known universe. The solar system is a daunting four light years (or 1.3 parsecs) away, but compared with any other star in the galaxy, that's quite close. It is likely that this will be our first port of call when we start venturing outside of our own sun's range of influence in order to see what other cool planets we can find. The challenge that astronomers face is that it's not particularly easy to spot the worlds that may circle around any of Alpha Centauri's three stars. One planet, Promixa-b, is very similar to our own planet in terms of size and distance from its star, but at this point, it's difficult to tell whether there might be more of these smaller planets currently escaping our view. In an effort to find out what secrets might be hiding in the Alpha Centauri system, researchers from Yale have analyzed previous data that's been observed from the solar system. The goal was to determine how well the data has been interpreted, and to try and figure out whether any interesting planets have managed to avoid our notice up to this point. The study involved breaking down the solar system into different sectors, and then attempting to determine whether our knowledge of these various sectors is actually complete. Essentially, the team asked themselves whether there was enough evidence in each area of space within Alpha Centauri to rule out the possibility of planets hiding within the sectors. In other words, the team played Battleship with data from Alpha Centauri, trying to spot where planetary battleships might be hiding based on whether or not previous studies have had a good enough peak at the opponent's board. This may sound strange but its true. Ultimately, the team concluded that it's very unlikely that hitherto undiscovered giant planets, like our system's Jupiter of Saturn, exist around Alpha Centauri. Those would be the easiest to notice thanks to their size and weight. As for smaller planets, there's a lot of room for error in the data we've uncovered thus far. If we're very lucky, there are several places throughout the system that Earth-sized planets might exist, just waiting to be spotted. This study ultimately finds the potential for more planets, rather than any concrete evidence that these things exist. Regardless, it's a good use of earlier data, and it helps us to recognize the kinds of planetary signals we ought to be looking out for when studying Alpha Centauri in future. Here's hoping, then, that some cool new planets appear on our radars in the near future. 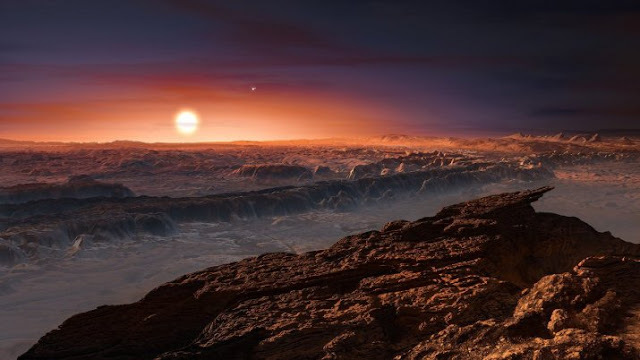 If we're very, very lucky, one of the hidden planets revolving around Alpha Centauri's three suns might just be habitable, and could even contain life.